Beach volleyball cardiovascular exercises should be incorporated into every serious player’s training routine. Having good endurance is needed out on the volleyball court if you want to be an effective player. Volleyball consists of many quick, explosive and shifty movements so good endurance are needed. If your cardiovascular system is not properly conditioned, you are more likely to become fatigued during a match. However, many athletes tend to concentrate mostly on strength and conditioning and push cardiovascular training off to the side. It is vital that you train your cardiovascular system in order to be an effective athlete, especially as a beach volleyball player. If you are looking for some easy ways to incorporate cardiovascular training into your workout regime, check out some of these simple, yet effective cardiovascular exercises. Probably one of the most overlooked and underappreciated machines at the gym, this tough exercise works and is an effective form of cardio. A great full-body high-intensity workout, rowing works more than 85 percent of the muscles in your body and the best part? This exercise is low-impact and is gentle on your joints due to the fluid movements performed. Yoga has many great health benefits, as it helps improve your strength, flexibility, balance and is excellent for your mental health. It is also a good way to improve your cardiovascular system, as the flowing from one position to another elevates your heart rate and works the aerobic energy system. By working your aerobic energy system you can make your body more efficient at converting oxygen into energy. A simple, yet gentle way to improve your cardiovascular system, going out for a walk is one of the best exercises you can do. In order to take advantage of walking’s cardiovascular benefits, walk quickly and briskly, and try to incorporate hilly terrain if possible in order to add difficulty and burn more calories. Aim to take a quick, brisk walk at least three times a week for 30 minutes to an hour. Burpees are an effective way to ensure that you get a full body workout that will help increase your power, strength, and cardio-respiratory endurance. Burpees work almost every muscle in your body and when performed at a high intensity will help improve cardiovascular endurance. This is because burpees work almost every muscle, and this increases your body’s demand for oxygen. A simple, yet effective way to improve your volleyball endurance, jumping rope will help condition your heart and your legs simultaneously due to the frequent jumping that’s involved with the exercise. Just jump rope until you are tired and then give yourself 30 seconds of rest before you go at it again. Add this simple, yet fun exercise into your schedule two to three times per week for at least 20 minutes. You may think it’s weird that meditation is on this list, but meditation has many benefits and can help improve your health. Meditation helps you let go of stress, improves your mood, helps raise your self-esteem, improves sleep, helps speed up recovery time, lowers blood pressure, and can help strengthen your heart and improve your cardiovascular health. High-intensity interval training that is followed by a brief period of rest is an effective way to work your heart and cardiovascular system. Sprints are probably the easiest way to have a quick and effective cardio session. Remember to start small and work your way up, increasing the difficulty over time and do this two to three times per week. 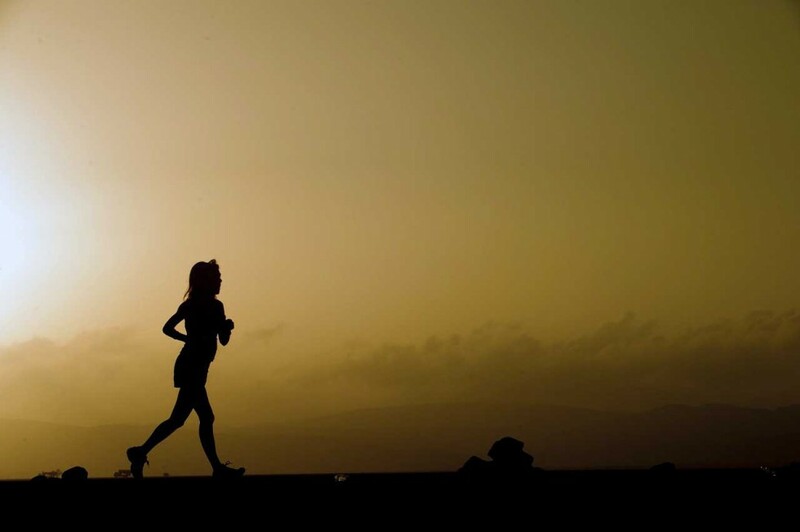 Having a regular jogging routine is an excellent way to improve your cardiovascular endurance. Setting a schedule to jog at least three days a week for 30 to 45 minutes is a good way to incorporate this exercise into your training regime. Your heart will thank you for it as jogging can help improve the strength and efficiency of your heart.